Ross, R., (2016) Investigating the role of larval dispersal models in the development of an ‘ecologically coherent’ network of deep-sea marine protected areas. Ph.D. thesis. Plymouth University. 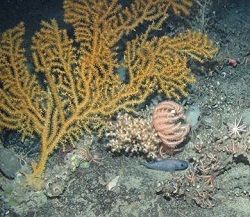 Davies, J.S., (2012) Mapping deep-sea features in UK waters for use in marine protected area network design. Ph.D. thesis. Plymouth University 347pp. Marshall, C.E., (2011) Species distribution modelling to support marine conservation planning. Ph.D. thesis. Plymouth University 260pp.